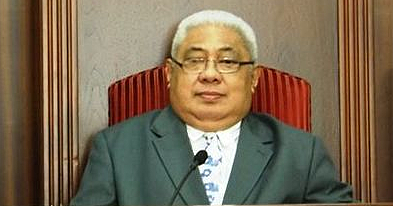 The Masiofo, Her Highness Fa’amausili Leinafo Tuimaleali’ifano, has been identified as the recipient of a petition allegedly leakedin the ongoing dispute to find a new holder of the Malietoa title. 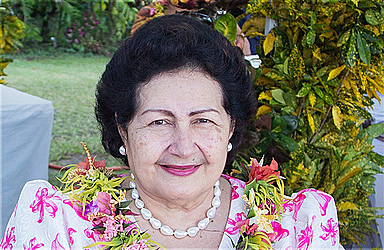 But she has declined to comment, referring queries from the Sunday Samoan to her lawyer, Fepulea’i Patrick Fepulea’i. 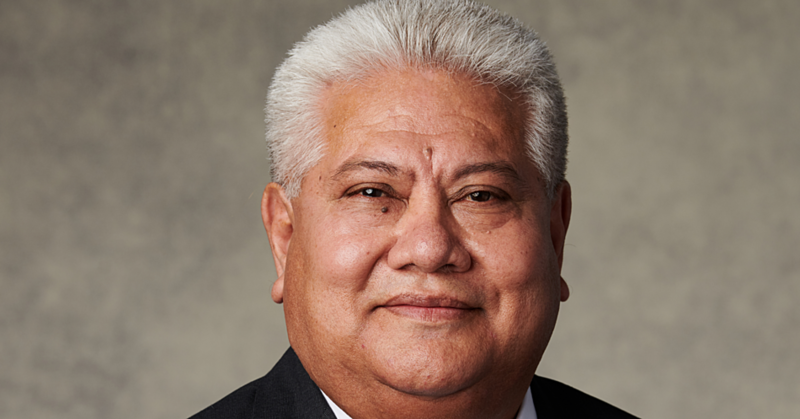 “As counsel for any client, one of my cardinal rules is I do not discuss or comment in public on any client matters,” Fepulea’i wrote in response to questions from the Sunday Samoan. Three weeks ago, one group from the Malietoa family made up of Papali’i Titiuatoa Malietoa, Papali’i Ioane Malietoa and Papali’i Malietau Malietoa called on the President of the Land and Titles Court, Fepulea’i Ropati Atilla, to investigate the matter. 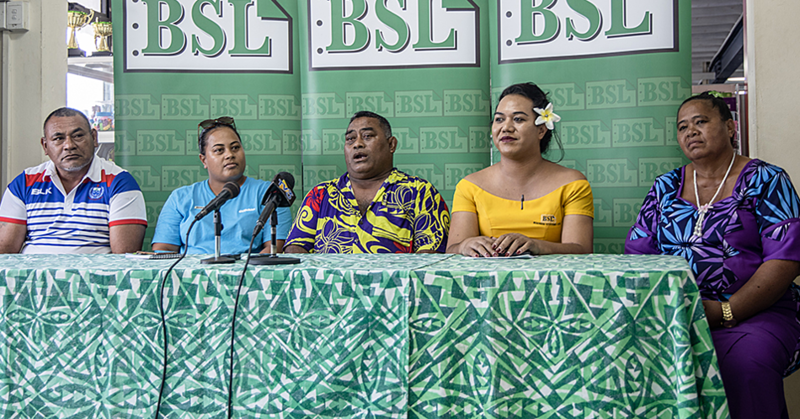 The group strongly opposes the decision reached by three sides of the family, Malietoa Gatuitasina, Malietoa Talavou and Malietoa Moli for Fa’amausili Moli to become the next holder of the Malietoa title. The agreement reached in Sapapali’i was immediately put into writing and filed with the Court. This led to the petition in question from the complainants.Papali’i Titiuatoa Malietoa, Papali’iIoaneMalietoa and Papali’i Malietau Malietoa claimed that their petition had ended up with Her Highness Fa’amausili and her group before it had even been publicised in the Savali. “It is our opinion that the law is specific on this matter that any petition to the Court is not legal until it has been published in the Savali newspaper,” a letter from the complainants reads. “Therefore it cannot be released to the public before that time. We understand from the Savali Office that the September issue of the Savali relating to matters of the Lands and Titles Court will not be published until late October 2017." “We are extremely disappointed and concerned by this unprofessional behavior by someone in the Court” and the more unbecoming behavior of the person whom the document was leaked to. The group had sought full disclosure and had threatenedcivil Court action against the person who received the information. But a letter obtained by the Sunday Samoan dated 2 October 2017 shows that Her Highness Fa’amausili strongly rejected the claim from the other party. The letter is from her lawyer Fepulea’ito the lawyer representing the complainants, Unasa Iuni Sapolu. Fepulea’i pointed out that “all proceedings in the Lands and Titles Court are commenced on the filing of a petition." “In relation to the matter you raised, we do not accept the legality of your representation." Fepulea’i’s letter further pointed out that “the meeting held on September 21, 2017, was called by her (Masiofo) as the Sa’o for the Fa’amausili family." “One of your clients, Papali’i Ioane was present with his mother." “There were four matters discussed at the family meeting. The first three matters were related to their family and the fourth matter related to the current case in the Lands and Titles Court relating to the Malietoa title. When the dispute over the petition surfaced, the Chief Executive Officer of the Ministry of Justice and Courts Administration (M.J.C.A. ), Papali’i John Taimalelagi, denied the assertion that the document had been illegally leaked. “I am responding in my capacity as the C.E.O. specifically targeting the Petition Process, nothing more,” he said. “This is the process. Once a petition is filed and signed, then the parties, swear an oath in front of the Deputy Registrar or Registrar." “Once the fee is paid, it becomes a legal document of the Court." “Then the matter is handled by the Mediation and Registrations Division. They schedule a date for mediation for all the parties and at the same time, the petition is passed over, to the Lands and Titles court." “It’s from there summons letters are issued to the other parties or respondents. The summons letters inform them of the petition and a copy of the petition will be attached with the summons letters." “Also in the summons letters, are basic instructions of when the matter is scheduled to be held at the Court. At the same time, the petition is being prepared to be sent over to the ‘Savali’ for publication." “The petitions are not confidential documents. The petitions are given to the respondents or interested parties as they are entitled to have copies."